Key Classical Indian Sources for the Stories of Krishna’s Life: Mahabharata (= M, c. 300 BC- c. 300 AD), Harivamsha (c. 450 AD), Vishnu Purana (= VP c. 400-500 AD), Bhagavata Purana (= BP, c. 950 AD).1 The most influential telling is the last mentioned, the BP. 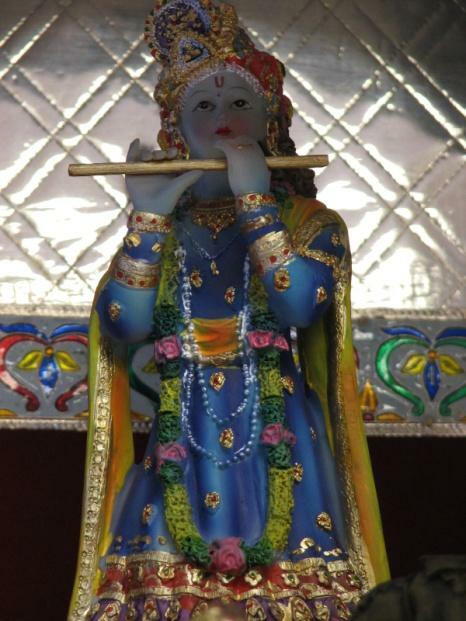 Common False Claims: (1) Krishna was born of the virgin Devaki / Devaka /Yasoda (2) on December 25th and was (3) crucified (4) between two thieves (5) for our sins,2 (6) rose from the dead and ascended into heaven, and (7) and he was born/died c. 1200 BC. (1) Krishna wasthe 8th son ofVasudeva and Devaki. The name of their first son was Kirtiman.3 The BP credits the pregnancy to “mental transmission”4 through the mind of Vasudeva into the womb of Devaki. That detail is from a late source (c. 950 AD), does not really represent a virgin birth, since Devaki was not a virgin, and is not present in the earlier accounts of Krishna’s birth in the H (c. 450 AD) and VP (c. 400-500 AD). The names Devaka (used by Christopher Hitchens and the source he plagiarized5) and Yasoda (used by Kersey Graves6) are errors deriving from a basic ignorance of the story. (4) Crucified between two thieves? Nothing like that at all in the authentic Hindu sources. 1. I am following the dates given in Wendy Doniger, The Hindus: An Alternative History (New York: Penguin Press, 2009). 2. Kersey Graves, The World's Sixteen Crucified Saviors (4th ed. rev. and enl. ; Boston: Colby and Rich, 1876), 140. 3. BP 10.1.56-57, p. 13. 5. Christopher Hitchens, god is not Great: How Religion Poisons Everything (New York, Boston: Twelve, 2007),23. Hitchens's source is an atheist book published in the 1930s entitled Essays on Freethinking, by Chapman Cohen (1868-1954). Hitchens actually reprints the portion he plagiarized in the collection The Portable Atheist (2007). 6. Graves, Sixteen Crucified Saviors, 50. Graves simply gets the characters mixed up. 7. See, e.g., “Krishna Jayanti: Birthday of the God of Divine Love,” Hinduism Today (April, May, June 2010): 30; John Stratton Hawley, At Play with Krishna: Pilgrimage Dramas from Bridavan (with Shrivatsa Goswami; Dehli: Motilal Banarsidass, 1992 [orig. ed. Princeton University Press, 1981]): 62. 8. Graves, Sixteen Crucified Saviors, 69. 9. M 16:4 (Mausala-parvan, “Book of the Clubs”); VP 5:37, and in the BP 11.30.27-40. 10. 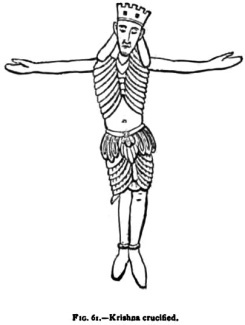 Vettam Mani, Purāṇic Encyclopedia (Dehli: Motilal Banarsidass, 1975), 429. 11. M 13:159 (Anusasana Parva “Book of Instructions”), M 16:4 (Mausala-parvan, “Book of the Clubs”). 12. M 11:25 (Sitrī-parva “Book of the Women”). 13. M 16:3 (Mausala-parva, “Book of the Clubs”); VP, 5:37; BP 11.5.2-23 & 11.30.33. 14. M 1:2 (Adi-parva, “Book of the Beginning”); M 16:7(Mausala-parva, “Book of the Clubs”); VP 5.38; BP 11.30.2. 15. The claim appears, e.g., in Graves, Sixteen Crucified Saviors, 65. It was, however, at one time though to be correct: See, e.g., James Tod, “On the Religious Establishments of Méwar,” Transactions of the Royal Asiatic Society of Great Britain and Ireland 2.1 (1829): 299. 16. “Kali Yuga,” in Roshen Dalal, Hinduism: An Alphabetical Guide (New Delhi: Penguin Books India, 2010), 187. 17. 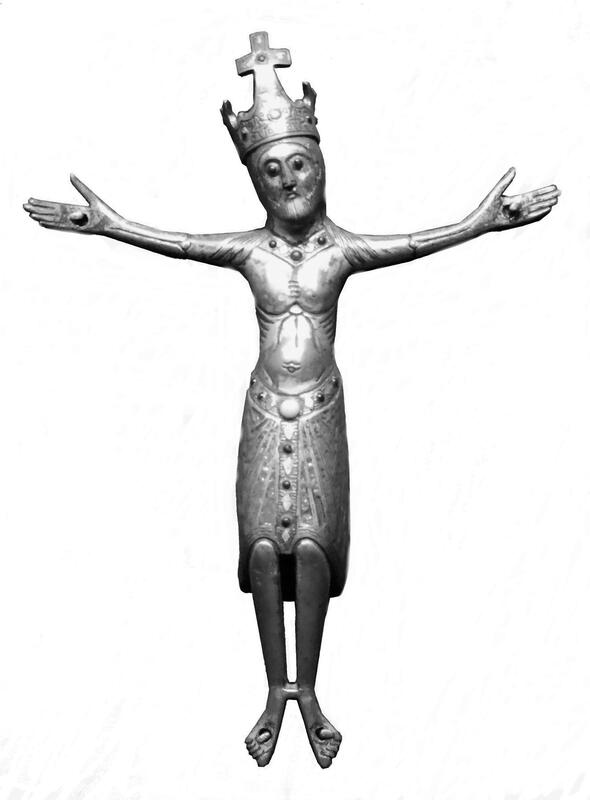 For several other examples, see http://huntmuseum.com/collection.aspx and then select from the menus as follows: All Object Types: “Religious/Ritual Equipment,” All Materials: “Metal” Key word in Title: “Corpus,” Key word in Description: “Crucifix Figure.” Or if you would prefer to go directly to the crucifixes most similar to the one claimed as Krishna here, simply enter in the Registration Number for each as follows: CG064, CG 066, CG 068, HCM 040, HCM 046, HCM 047. 18. 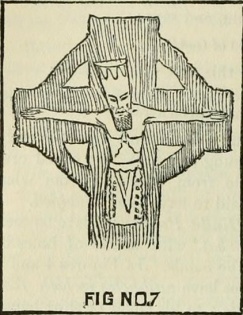 T. H. Mason’s photo reproduced from Arthur Kingsley Porter, The Crosses and Culture of Ireland (New Haven, CT: Yale University Press; London: Oxford University Press, 1931), pl. 194. 19. 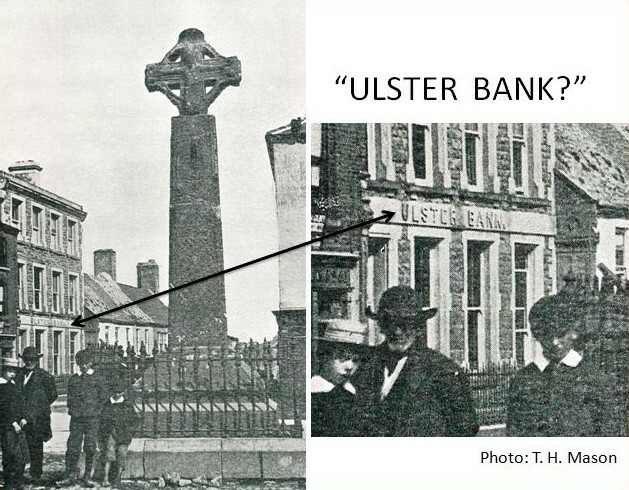 See further, Maggie McEnchroe Williams, “Constructing the Market Cross at Tuam: The Role of Cultural Patriotism in the Study of Irish High Crosses,” in From Ireland Coming: Irish Art from the Early Christian to the Late Gothic Period and Its European Context (ed. Colum Hourihane; Princeton, NJ: Princeton University Press, 2001), 141-60.